Instead, Conway is pointing to recent revelations about other government surveillance to suggest it was possible Obama used a different technique. Her response was unlikely to tamp down criticism of Trump’s tweets earlier this month. The House intelligence committee has asked the administration to provide evidence of the allegation by Monday. James Clapper, who was Obama’s director of national intelligence, has said that nothing matching Trump’s claims had taken place. Also this month, WikiLeaks released nearly 8,000 documents that purportedly reveal secrets about the CIA’s tools for breaking into targeted computers, cellphones and even smart TVs. 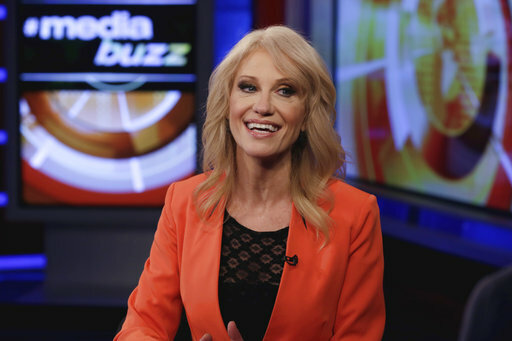 Conway noted that development to justify Trump’s claims. FBI director James Comey has privately urged the Justice Department to dispute Trump’s claim but has not come forward to do so himself. Sen. John McCain, an influential Republican, said Sunday: “I think the president has one of two choices: either retract or to provide the information that the American people deserve, because, if his predecessor violated the law, President Obama violated the law, we have got a serious issue here, to say the least,” the Arizona senator said.